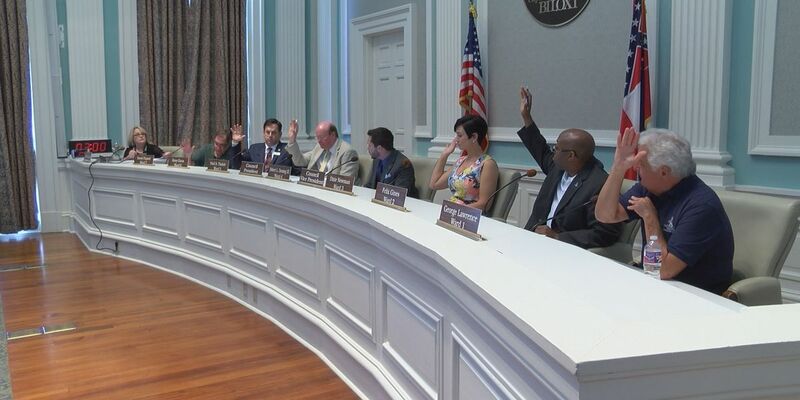 BILOXI, MS (WLOX) - Following Mayor FoFo Gilich's lead, the Biloxi City Council took a stand against the Religious Accommodations Act during Tuesday's council meeting. "Jesus says to love your neighbor. Jesus also did not turn anyone away or does he teach us to. Biloxi is based on diversity and we will continue to do so in my opinion," said Biloxi Councilperson Dixie Newman. Showing overwhelming support for Mayor Gilich's resolution calling for the repeal of House Bill 1523, the City Council voted 6-0 in favor of the mayor's proposal. "For the good of Mississippi and for the good of Biloxi we had to make this statement because economically it just goes against our grain," said Gilich. "I think reasonable people will understand our position." The council's position didn't come without opposition. One Biloxi resident expressed his disapproval during the time allotted for citizen comments. "I read nothing in the bill that allows discrimination and I think for the city to pass a resolution that implies somehow we do is a bit irresponsible," said the Biloxi resident. Councilman Robert Deming chose not to take a stance on the issue and was the only council member who didn't vote on the resolution. "I definitely agree with our commitment to diversity and hospitality," said Deming. "I just disagree with condemning the Governor or the language in the resolution." It would take a 2/3 majority vote in the state legislature to repeal the Religious Accommodation Act.